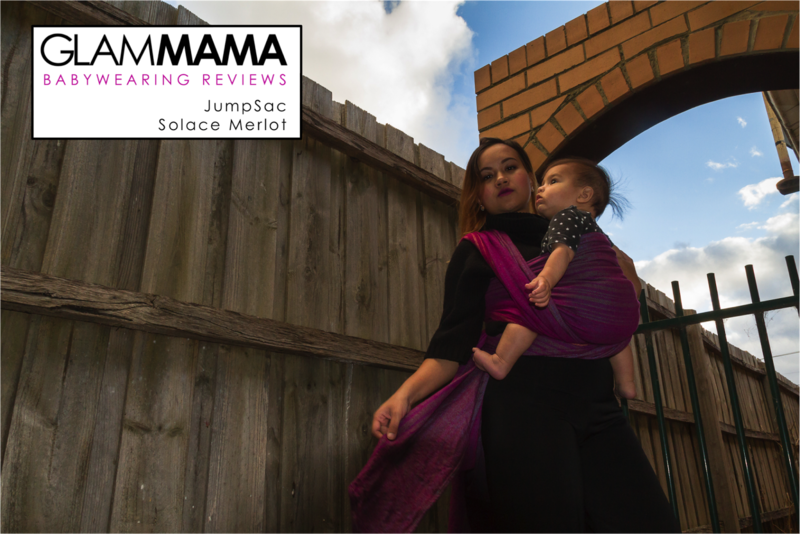 This review has been in the works forever and a day, but I'm glad to finally share my thoughts on JumpSac's Solace Merlot. JumpSac has ventured into handwoven wraps several times now, and Solace Merlot is one of their offerings that really turns heads. Any time I venture away from monochrome, I go for deep jewel tones. So I'm loving the colours of this wrap for sure! Made up of a deep pink warp with a mostly purple weft with stripes of purple, yellow, brown, and green in plain weave, it's an affordable handwoven that's beautiful to boot. The wrap I received actually had a wrongly placed middle marker, which resulted in several lopsided carries before I figured out what the problem was. Well actually, it was Dan that figured it out when he was helping to fold it. I hadn't yet figured out the middle marker issue till after this photo shoot, obviously. But hey, nice off-center knot shot, right? Speaking of photo shoot, these gorgeous photos were taken by my incredibly talented, award-winning photographer and close friend, Ghaneshwaran Balachandran, of The Wild Naturalist, while he was visiting Melbourne earlier this year. He's not just any photographer, by the way - he's a wild life photographer! You can check out his Instagram HERE. I asked him if shooting Adam and I was any different from shooting Komodo dragons and wild boars, and he quipped "Well you guys are apes, so not much difference really". Anyway, I've gotten off-track. Let's get back to the wrap! Solace Merlot is medium thin, with a dense weave. 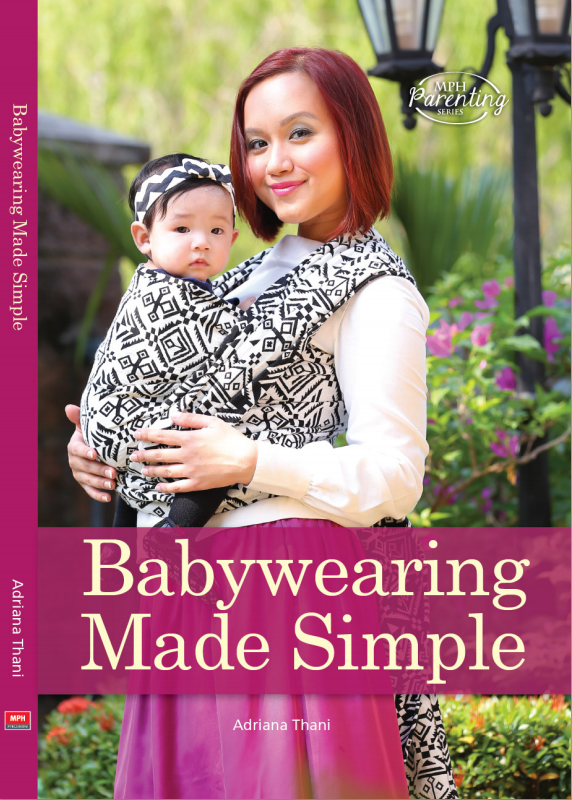 The weave itself lends very little stretch to the wrap, which makes it a strong and sturdy option for bigger kids. 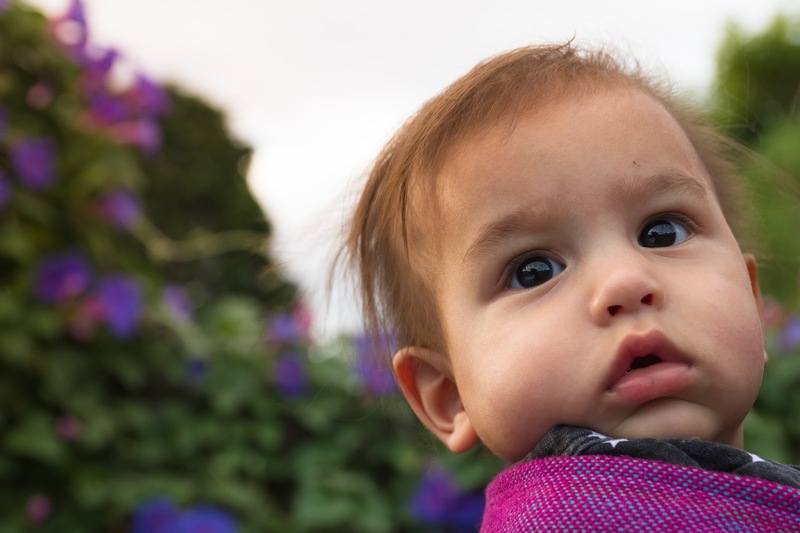 Another plus point for big-kid-wearing: this wrap is on the wider side, which is fantastic for tall leaners such as Adam (he has grown a lot since these photos were shot, but he has not grown out of his cheeky leaner ways). 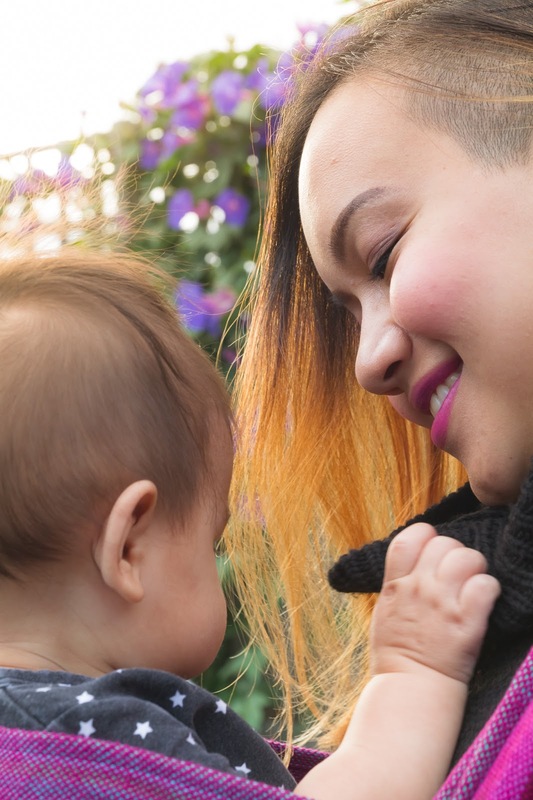 There is minimal amount of diagonal stretch - enough to snugly embrace a child but not so much that it'll sag. 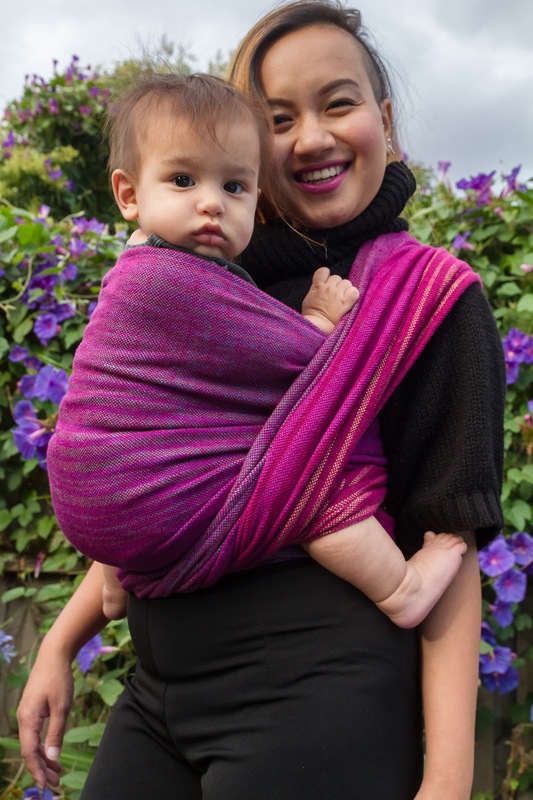 An easy care, all cotton wrap, I've had fun bringing this on outdoor trips. I try to go by the rule of "easycare longies, fancy fiber shorties" as much as I can because I am the laziest launderer ever, but honestly this wrap would make a fantastic shortie or ring sling too. My rucks with Solace Merlot have held on really well, with a tiny bit of cush on the shoulders. Speaking of holding on really well, this wrap is wonderfully grippy, which makes multiple sloppy passes stay put. A great plus for those rushed wrap jobs with aforementioned leaning toddlers! It was actually a little surprising how grippy it was, actually, because Solace Merlot came to me in loom state quite slippery. After a wash, it became dry and grippy, which isn't my favourite wrap quality in hand, but definitely something I am learning to appreciate more and more as Adam gets older and heavier. I've used this wrap for long stretches - up to three hours - with zero soreness on my picky shoulders. I assure you, that's quite a feat! 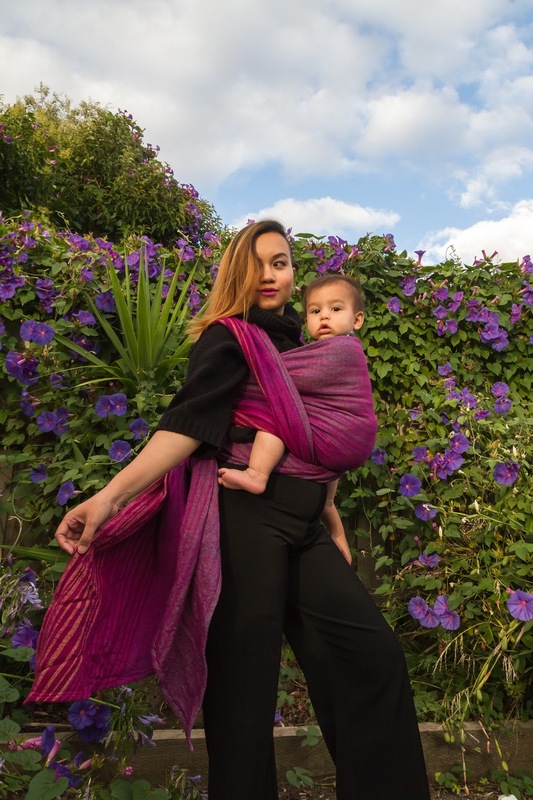 While these photos are dark and moody and show how gorgeous Solace Merlot is in gloomy cold weather, I can assure you that it works beautifully well as a cheerful summer wrap as well. 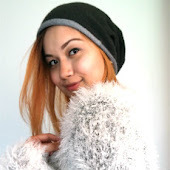 100% cotton will work well in any weather, so this is a year-round wrap! If you'd like to know more about JumpSac, head on over to their website. Don't forget to "like" their FB page and follow them on Instagram too. JumpSac Solace Merlot is for sale HERE if you'd like to purchase it. 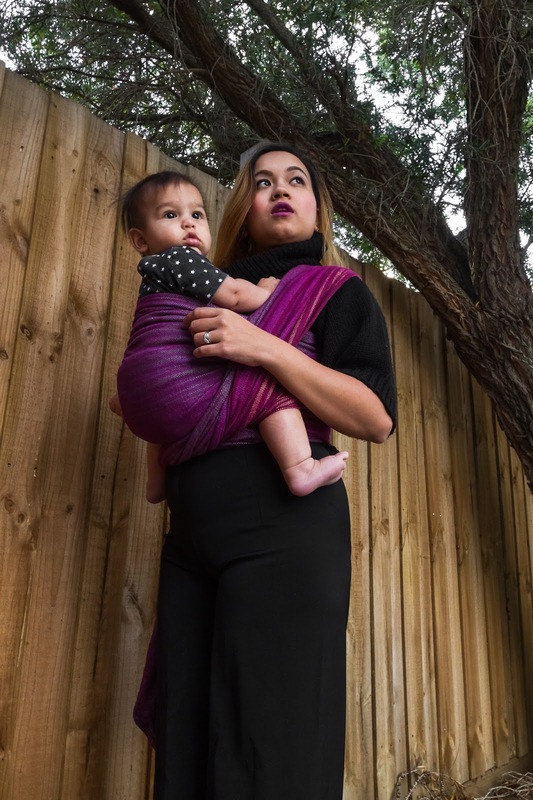 However, if this review and the accompanying photos aren't enough, and you still need to feel it IRL to make up your mind about it, I have some good news: this wrap is due for some travels around Australia! 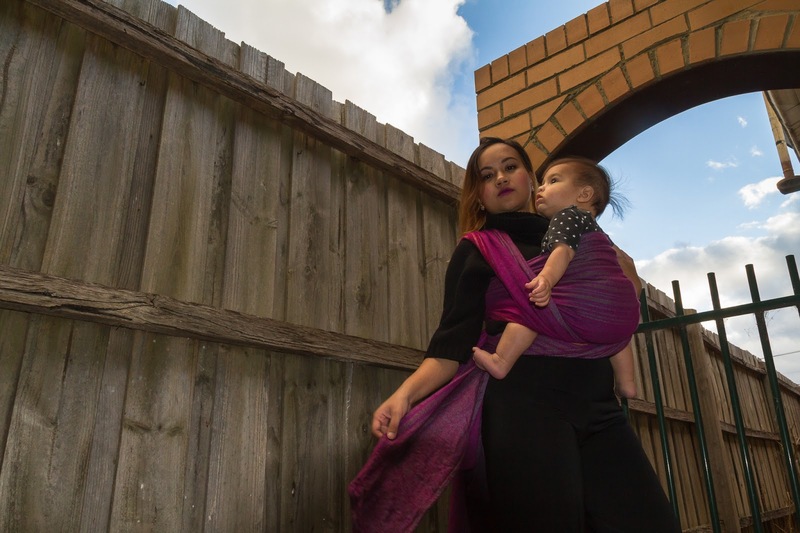 So if you're an Aussie babywearer who would like to be included on the traveler list, please do send me an e-mail with the subject title "JumpSac Solace Merlot Traveler List" with your BWBBS and/or HE Feedback link!